This novella is the perfect primer for the next installment and takes place immediately after the climactic ending of Shatter Me, where Warner is recovering from the bullet wound inflicted by the first person he’s ever dropped his guard for… Juliette. Through his POV, we witness his humiliation as he reveals moments of vulnerability and desolation that only proves his hard edges are a direct result of his past experiences. In this story, Warner finds Juliette’s journal and as he reads her pain-ridden entries, he begins to realize that they both have a tortured past in common. His feelings for Juliette continue to manifest as he learns more about her and the suffering she's had to endure from childhood, much like his own. Overall, this mini-installment confirmed my suspicions that there’s so much more to Warner than meets the eye, and I can’t wait to see how this dynamic plays out as the series continues to reveal the multiple layers of this complicated character. 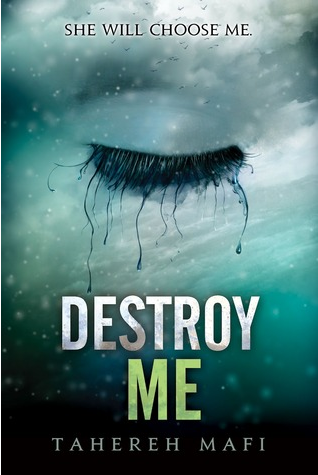 Great addition to the Shatter Me series that shouldn’t be missed!